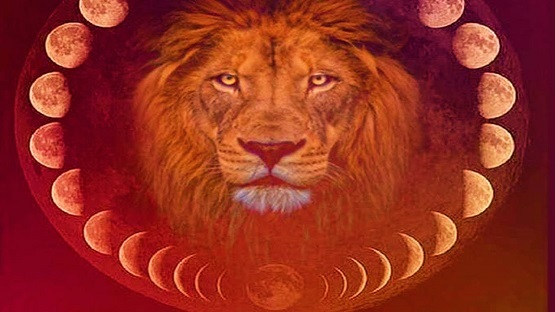 Greetings with Love and Transformation for this moon cycle. I am Master Djwhal Khul ready to express to you the importance of this cycle within the planetary level of existence. As we have arrived within 2018, it brings with it an increased sense of grand evolution to the planet. The vibratory rate is changing through the hemisphere, and it is important for every soul to step forward into the next stage of their evolution. What happens with this energetic push is that the electrons coming into Gaia, are pushing every individual to speak up to their Highest Self in order to allow the transformation to occur for them individually, and then collectively within their own world. Now this is different for every soul because each person is on their own timetable of acceleration. It may seem that many are not on the elevated course of movement, but they truly are doing so even if they are very unaware of it. Elements will arise within each individual soul to help them acknowledge a new and different part of themselves. It is up to their physical self within the four-body system of how they are going to acknowledge it in their own consciousness. Some may not accept the change and others will be resistant while some will be very accepting of what needs to occur for them. This process usually occurs on the Innerplane levels through the sleep state, but it can happen through being in silence, like sitting in nature and reflecting on the sounds and energies around them. For those that are more aware it will happen in meditations and reflections of what they have been and start to see a change. Unfortunately, there will be many that will not accept these energies so there can be some very cataclysmic events that will occur. Your role is to allow the increase vibrancy of light to come within you and not worry about anyone else through the process. My role presently is to help each of you that are listening in this moment to the pulses within your Heart Center and to assist you to realize that the change is not detrimental to your bodily influences. It is actually helping to the be aware of the nuances of the increased rate of vibration that is occurring within you. That is exactly what this cycle of January 31st is doing for every soul upon this planet. It is a moment of increased energy to help an individual to realize within them what needs to be changed. This process can be riddled with great fear as many individuals may think they don’t need to change or they push themselves away from it. It represents FEAR OF THE UNKNOWN and every Initiate has had this feeling within them. As a specieis, you are programmed to have to know everything that is going to happen to you, analyzing it from your Lower Mind, and then saying, “It’s going to be okay.” But yet, that is the wrong way of accepting your new reality. My suggestion through this cycle is to allow yourself to flow with the energies. See what is coming up within your meditations, your awakened state after sleep, and the thoughts that you have within yourself. Are they the same as before? Probably, not, and that is a very good thing. Understand who you were six months ago during the Eclipses of 2017 ~ and what has transpired for you after those cycles. Make a list of how you were reacting and what is happening for you presently. Get to know the difference from the Old Self into the New Self. This is how you are going to understand the transition that you are going through. Then, utilize the Rays of God as shown above in your meditations; work with the flames to come into your full body system (physical – etheric – emotional – mental). Start to allow them to just become part of your reality. Then, afterwards notice the slight differences that are occurring for you. What is changing and how rapid is it? Is it too fast? Then ask your Higher Self to assist you to slow it down so your body does not become overloaded with the energies. Work with the Ray Chohans of each flame to assist you in meditation and your sleep state. Utilizing these tools will help you tremendously to accept the new pathway that your Higher Self desires you to step into with Ease and Grace. Take time to truly feel the energies and the beauty of acceleration that is becoming You. In the Light of the Christ, I AM Master Djwhal Khul at your service. This entry was posted in Uncategorized and tagged increase vibrancy of light, increased energy, love, Master Dwhal Khul, sanada website, timetable of acceleration, vibratory rate. Bookmark the permalink.